The Golden State Warriors want to get the Cleveland Cavaliers out of here on Friday, hopefully sweeping the defending NBA champions. The team's brass and front office officials won’t admit it, but such a triumph could be costly to the wallet of the organization. 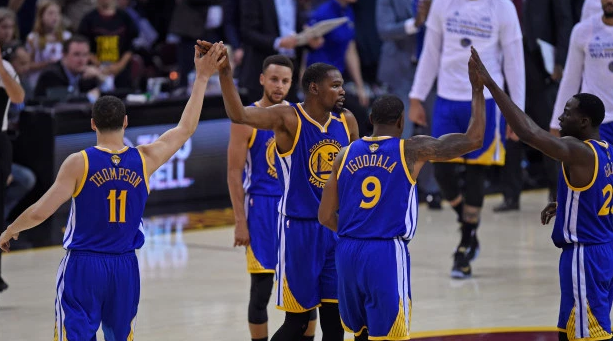 According to ESPN’s Darren Rovell, if the Warriors wrap up their series on Friday at Quicken Loans Arena, the lost revenue from not playing Games 5 and 7 at Oracle would cost the franchise more than $22 million. In fact, a Game 5 in Oakland alone comes close to paying Steph Curry’s salary for the entire 2016-17 season: $12.1 million. All told, sweeping the series in Cleveland and not returning twice to the Bay Area, as the Warriors did last year for Games 5 and 7, would cost the Warriors’ ownership group more than $22 million. We didn’t get any help from the Warriors in arriving at those figures. But by talking to those in the know, we can show you the math. Based on prices the team gave season-ticket holders at the beginning of the season and figuring out roughly how many seats there are in each section, we’ve estimated that the average face-value price for an NBA Finals game at Oracle Arena is $600. Multiply that by the 14,500 season tickets sold, and each game is worth $8.7 million in season-ticket holder ticket revenue alone. Count the money lost earning cash from food, beverage, and merch sales, and the Warriors are out about $11 million per contest.